Max Flow Rate: 1500 litres per hour/330 UK GPH. 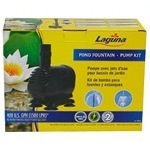 Suitable for ponds up to 3000 litres/661 UK gallons. Max Flow Rate: 2000 litres per hour/440 UK GPH. Suitable for ponds up to 4000 litres/880 UK gallons. For ponds up to 4400 litres/969 UK gallons. Max Flow Rate: 5600 litres per hour/1233 UK GPH. 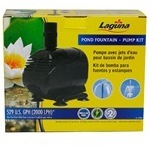 For ponds up to 11200 litres/2467 UK gallons.